Christmas is a magical time of year. Virginia makes Christmas merry with gifts, decorating, and entertaining. 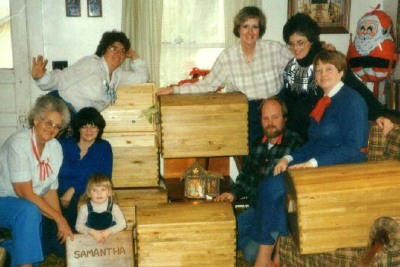 The family started making homemade gifts during the lean years of our childhood. 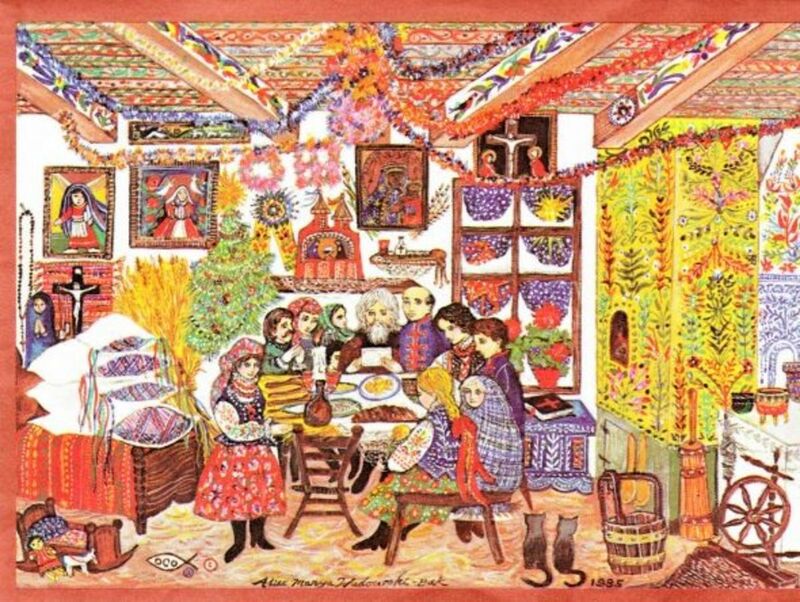 It became a family tradition that carries on even though 50 years has passed. Dad could take part from worn out bicycles and mix-and-match them to make one that after he painted it, looked like new. One year he painted a Monopoly board to replace a missing one. I wish I had that masonite board that he painted. I'd hang it on the wall as a piece of folk art. Mom was a master of turning leftover fabric scraps into new doll clothes. She used her trusty Singer sewing machine to make quilts for our beds. I remember the yellow squares alternating with colorful appliqued butterflies. They kept us snug on winter nights in that cold second-floor bedroom of the old farmhouse. 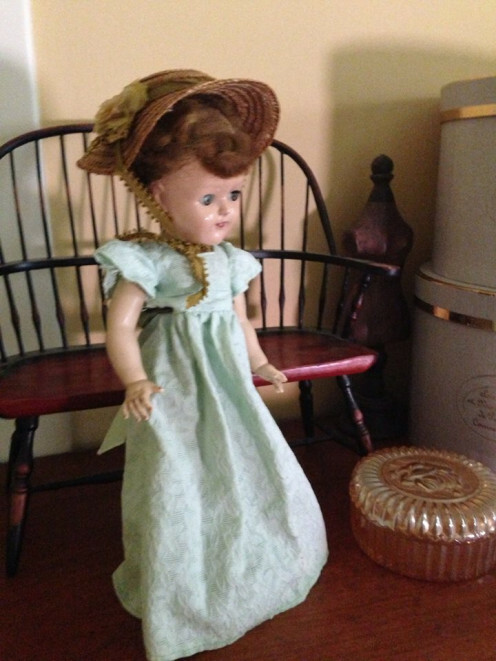 Her Singer was the old-fashioned kind with the treadle. The one shown here shows what modern technology can do for a sewing machine. My Singer is a plain white one, but for old-time's-sake, I wish I had this black model that looks so much like what Mama used. You can really count on a Singer. I'm not nearly the seamstress that she was, but with my machine, I've made doll quilts and table runners. These are easy and quick-to-make gifts that delight the recipients. Another easy gift that I've made are the storage bags to hold all those plastic grocery bags. It's a basic tube with elastic at each end and a loop to hang it. To fancy it up, I put a strip of quilted pieced down the front of the tube. 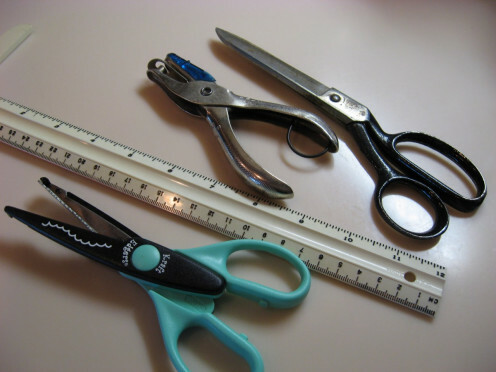 Making homemade gifts with your sewing machine is a great way to stretch the budget at Christmas. Everyone loves a handmade gift stitched with love. Start Making Your Christmas Gifts Right Away! My mom didn't have any patterns and just had to create using trial and error. Make life easier for yourself by getting this book. Some of my favorite gifts were the homemade doll clothes I received for my Barbie. My mom also crocheted and these were beautiful old fashioned full-length gowns that were and are still beyond compare. 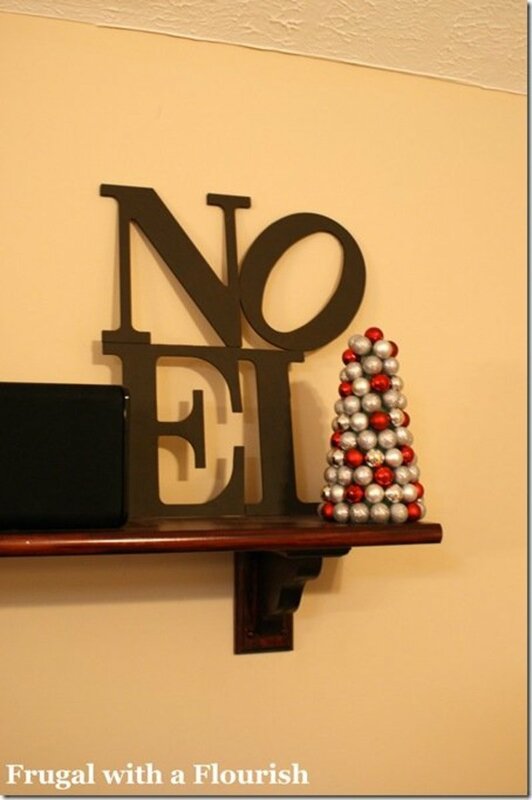 Lots more ideas for a home-crafted Christmas. You'll find books like this at your public library. The library card is free and you'll go home with an armload of books and plenty of projects to cover all your gift-giving needs. One of the doll dresses my mother created. 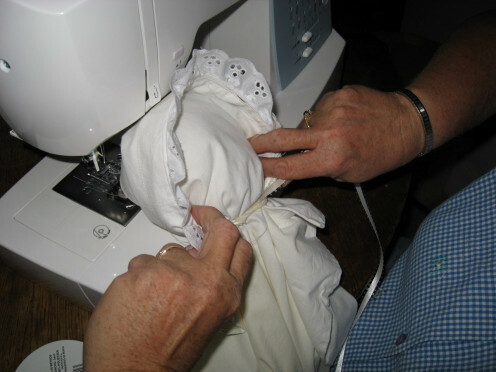 Here's my sister sewing a pillowcase to make a doll. My brother made hump-backed trunks for all his sisters one Christmas. 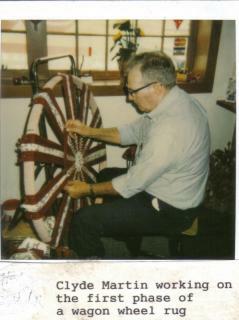 Dad wove wagon-wheel rag rugs from sheets torn into strips. Do You Like Making Presents? I try to make gifts. I enjoy personalizing gifts for those who will appreciate them. My mom gave me this sewing machine, and I love it! My grandmother gave me my first one, which was a great beginner machine. This one is a great step up. As for presents, I usually do a lot of crochet. Lovely memories you've shared! I've never seen a wagon-wheel rag rug. I'll have to look them up. 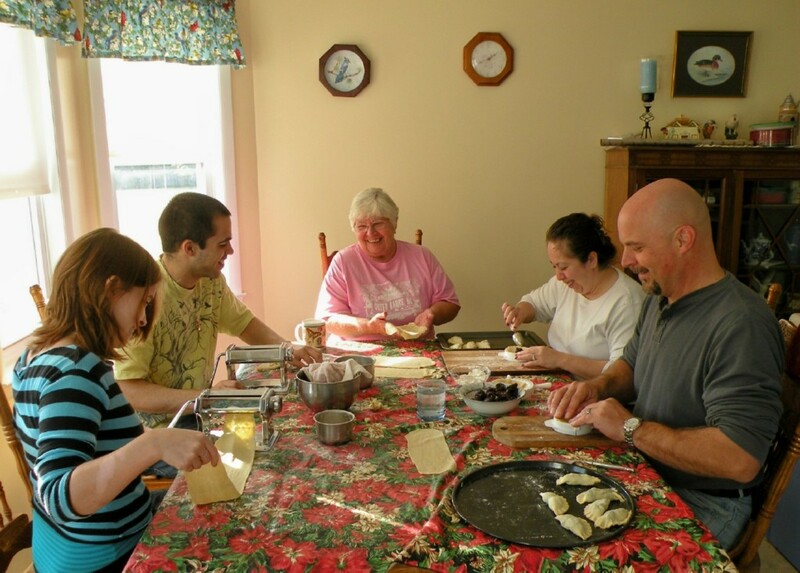 Homemade gifts truly do make Christmas more special with the family. I wish more people experience that! Ohh, one Christmas Eve our power went out before I had finished my little girl's pinafore so I finished it by candlelight on my treadle machine. I love handmade gifts too! I have fond memories of several over the years too.